Buying a house is a big undertaking, and there are lots of things to consider. The cost of the house is a big factor to think about, but is far from the only thing you should look when it comes time to buy! Something that you may choose to consider when buying a house is looking at ones that are newly built. Whether you choose to buy an older home or a brand new one, a Realtor can help you with this process and ensure that your interests are well represented. Reduced maintenance costs in the immediate future: New houses come equipped with new everything making it unlikely for you to have to deal with any major maintenance projects anytime soon! It will be years before you have to replace your roof or furnace, for example. New homes tend to be more efficient: Since new homes are built with efficiency in mind, they tend to have slightly lower monthly utility bills. Modern Style: If you like a more modern style, new build homes may be the right way to go. Current design trends such as open-concept main floors are common throughout most. You will also likely be able to customize the finishes in your home to make it your own before you even move in! New Neighbourhoods = New Amenities: New houses are generally part of carefully planned subdivisions and usually the plans include new parks, schools, recreation facilities, and shopping options. If they are not already there, they are likely in the works. More Expensive: New houses tend to be more expensive than their resale counterparts. And don’t forget that you will also have to pay HST on top of the purchase price. Lack of Character: New houses will not have mature trees or landscaped yards and they all tend to look the same. The individual character comes with time. Added expenses: New homes have some surprising added expenses that should be considered. Appliances are often not included, as well as some surprising other things like eavestroughs. Waiting for Amenities: Depending on when you buy into the neighbourhood, the amenities may simply be in the planning stages and it may be years before they are completed. This might mean that you may spend the first few years driving to neighbouring communities for things likes recreation, transit, and schools. Many people don’t realize that you can work with a Realtor when you are buying a brand-new home. Realtors are there to represent you in the process and this is very important. If you simply walk into the builders sales office, you will have someone who works for the builder helping you and they are likely to have a biased opinion. A Realtor can help you find the perfect New Build home for you and can walk you through the process! The Realtor’s commission generally comes from the builder so this is not likely to cost you anything. 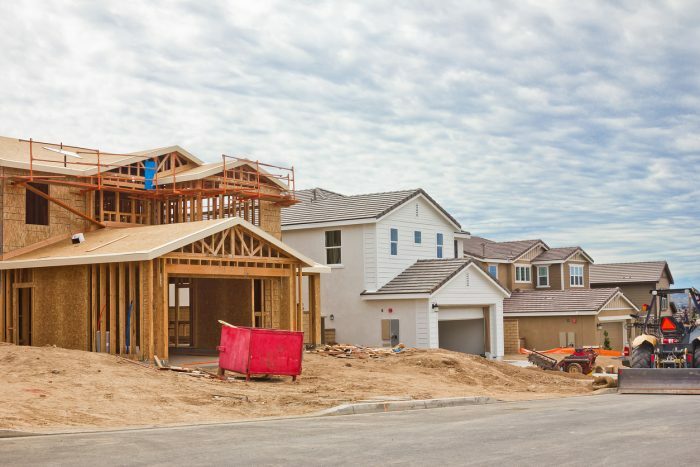 Although new build home prices are not generally negotiable, a Realtor can ensure that you are getting the best deal possible by considering all your options. If you are in the market for a new build home, contact a Realtor today! The post Buying a New Home appeared first on Team Realty.